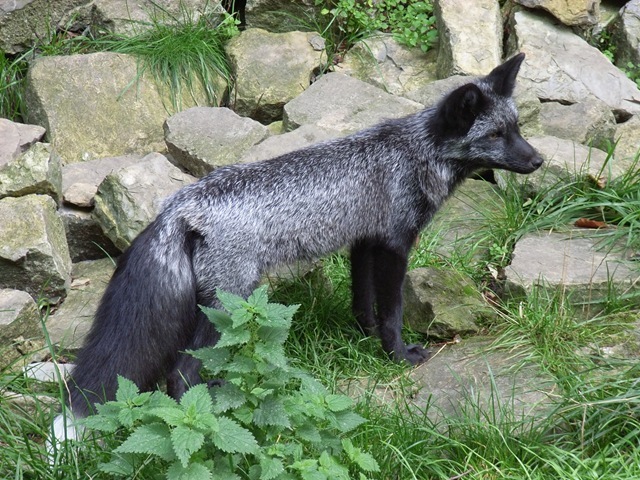 SULLIVAN COUNTY, NY (June 28, 2015) – Within the past two months, there have been encounters in Sullivan County between humans and animals that subsequently tested positive for the rabies virus, including a grey fox and a bat. The vast majority of rabies cases reported each year in New York State occur in wild animals such as raccoons, bats, skunks, and foxes. Domestic animals account for less than 10% of the reported rabies cases, with cats, cattle, and dogs most often reported rabid. Be sure your dogs, cats and ferrets are up-to-date on their rabies vaccinations. Vaccinated pets serve as a buffer between rabid wildlife and man. Protect them, and you protect yourself and family. Vaccines for dogs, cats and ferrets over three months of age are effective for a one-year period. Revaccinations are effective for up to three years. Pets too young to be vaccinated should be kept indoors. Don’t try to separate two fighting animals. Wear gloves if you handle your pet after a fight. Keep family pets indoors at night. Don’t leave them outside unattended or let them roam free. Don’t attract wild animals to your home or yard. Keep your property free of stored bird seed, food garbage or other foods that may attract animals. Feed pets indoors. Tightly cap or put away garbage cans. Board up any openings to your attic, basement, porch or garage. Cap your chimney with screens. Don’t feed, touch or adopt wild animals, stray dogs or cats. Encourage children to immediately tell an adult if they are bitten by any animal. Tell children not to touch any animal except their own. If a wild animal is on your property, let it wander away. Bring children and pets indoors and alert neighbors who are outside. You may contact a nuisance wildlife control officer who will remove the animal for a fee. If you are being threatened by a wild animal, go indoors and call the police. Seek treatment for all animal bites and report contact with wild animals to Sullivan County Public Health Services at (845) 292-5910. If you can safely do so, don’t let an animal escape that has possibly exposed someone to rabies. Depending on the species, it can be observed or tested for rabies in order to avoid the need for rabies treatment for people or euthanization for exposed unvaccinated pets. This includes bats that have had skin contact or have been found in a room with a sleeping person, unattended child, or someone with mental impairment. Bats have small, sharp teeth and in certain circumstances people can be bitten and not know it. 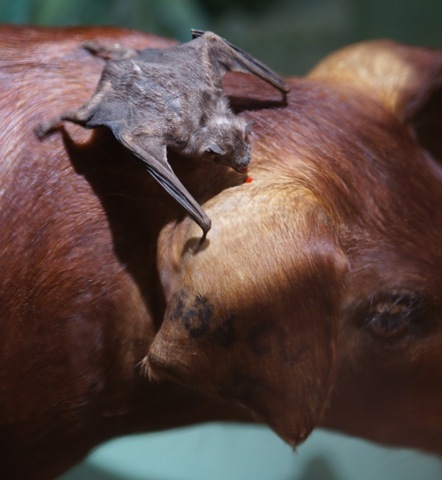 Bats can be particularly difficult to keep out of buildings because they can get through cracks as small as a pencil. Methods to keep bats out (batproofing) of homes and summer camps should be done during the fall and winter. If bats are already inside (e.g., in an attic or other areas), consult with your local health department about humane ways to remove them. References: CDC (Centers for Disease Control), the New York State Department of Health, and Sullivan County Public Health Services. For more information, call (845) 292-5910, or visit: http://www.health.state.ny.us/diseases/communicable/zoonoses/rabies/guide.htm or http://www.cdc.gov/rabies/.